Before you do anything you need to prepare, you must prepare and plan your pastures. Perimeter fencing, a shelter, a strong pen to hold the cattle when needed and a clean loafing and eating area must be completed prior to arrival. Ensure your fencing is sturdy enough for holding the cattle, you don’t want to have to deal with them escaping. Pastures are extremely important in beef cattle farming, you must be prepared and able to manage and maintain the land. There’s no point in fertilizing the land only to leave it to then fend for itself and reduce in quality, that in turn could reduce the quality of your returns from the cattle. Ensuring you have an adequate mower will help in three key ways; extra legumes and grasses, getting of the weeds and brush and finally clipping the unwanted bits from the animals keeping it all tender and making hay. Make sure you brush up, study, try to get some experience under your belt. Read livestock journals and homestead magazines, specifically on the subject of beef cattle breeds. Select from the reading what exactly can be applied to your farm and farming techniques. 13 Steps To Optimal Livestock Production by Jerry Brunetti is very informative. Try to get some knowledge or experience by working with or on the farm of a good cattle producer, if this isn’t for you then talk to a good cattle producer. Ask for tips and tricks, how they are able to produce good quality cattle from their farming. Feeds, enquire about the wholesome feedstuffs that good cattle producers use, what type of grains do they use? Ensure your grains or hay is of good quality and doesn’t have musty, mouldy or soiled parts. This is crucial to the health of the livestock. So now you are ready and prepared to venture out to get some cows. The better foundation cow to start with are the two-to-five year old bred cows with a healthy calf at the side. These should be purchased from a respected cattle producer and will be worth the extra money in the long term, or grade cows. Grade cows are bred up through high-quality bulls and although they are less capital there are more of these animals readily available. The fact that they are lower in cost also means that mistakes are less costly and more easily rectified. The best time to purchase is in the fall, this is when cattle is at its best value for money, purchasing in the spring is expensive. You should look for cows that are alert but not wild, without discharge from the nose or eyes as this is an indication of illness and they should be well rounded in size. It is very important to watch how they move/walk – they should be able to move freely without any joint or leg issues. Treat your livestock correctly. If a cow or bull is wild it is normally due to being mistreated and someone not taking the time to care for them in a calm way. These animals need to be dealt with in a calm stress freeway, especially when being moved or travelling. You are more likely to see a high return on your investment here if you treat and care for these animals correctly. 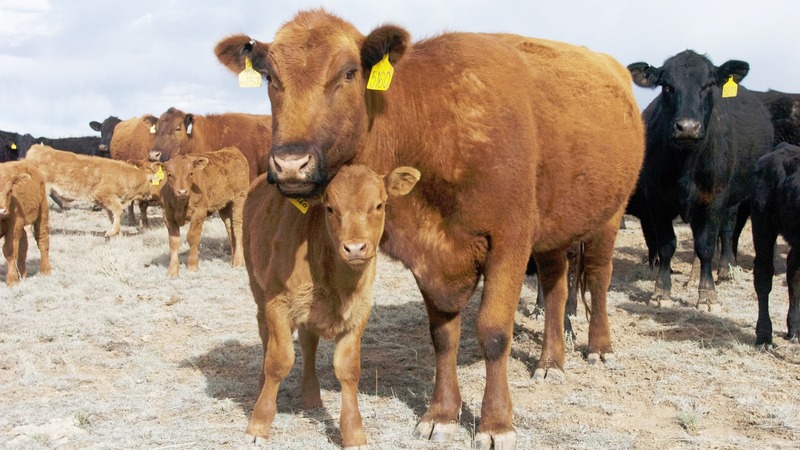 This is how you will be successful at beef cattle farming on your farm.